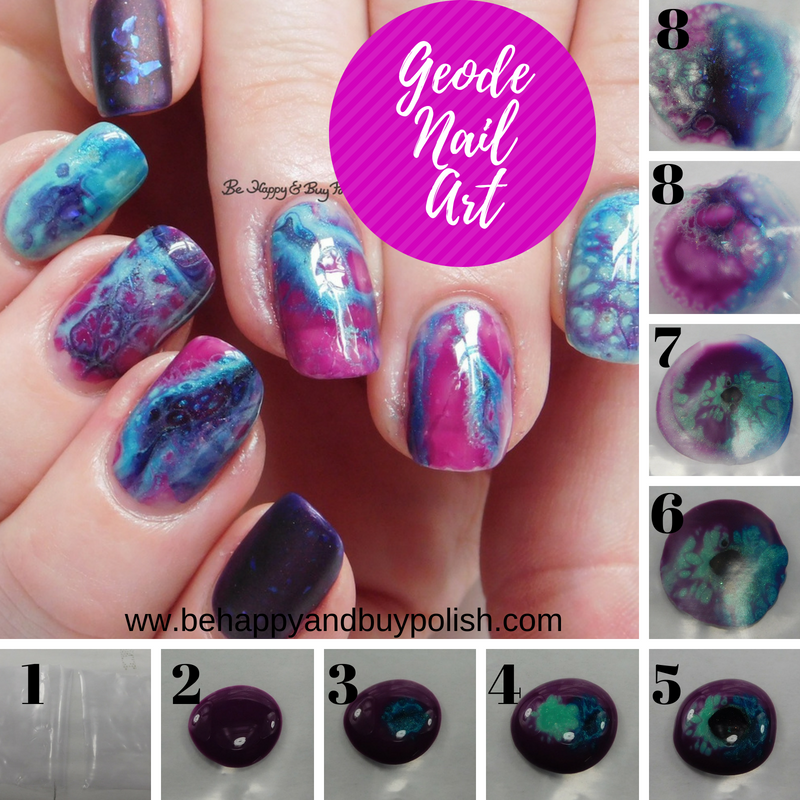 Posted in Indie Polish, Mainstream Polish, Manicures, Nail Art, pictures, Tutorials	by Jessica W.
My hope is that this post will be fairly clear and straightforward with how I created my geode nail art decals. I have to give credit to an old tutorial by sveta_sanders which gave me the idea to create the nail decals in this way. I started by gathering my supplies: the polishes, plastic baggie cut up in small(ish) squares, clear coat, liquid latex, quick dry top coat. I do want to mention that I’ve been using freezer bags cut up, which are a bit sturdier than just regular sandwich baggies. 1. Place two squares of plastic next to each other. 2. On one square, place your first blob of polish. For this, I used the transforming top coat first but really, it’s dealer’s choice. Depending on what color order you use will create different looks. 3. 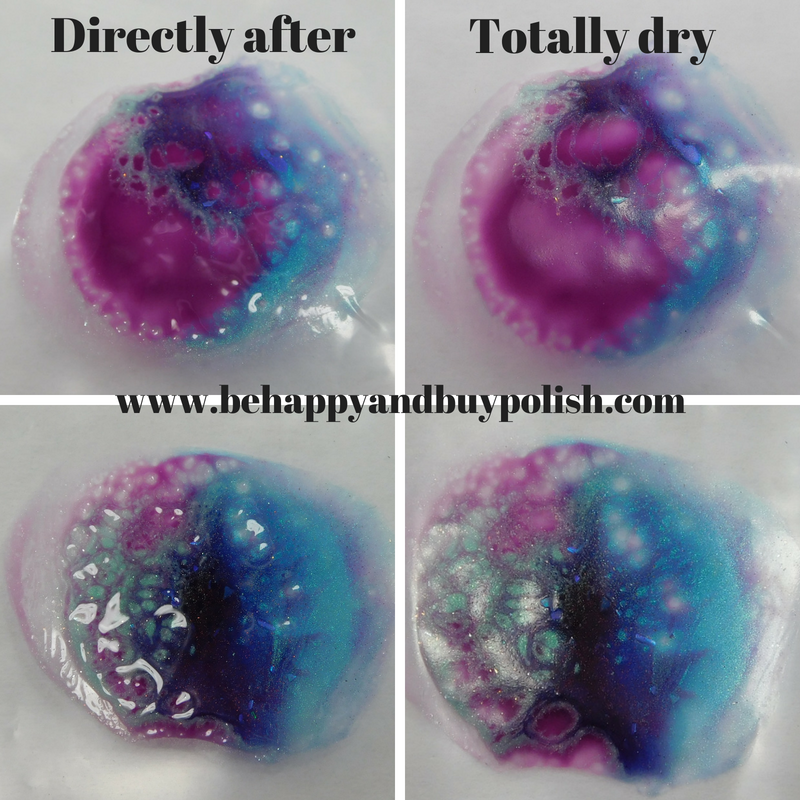 Inside that blob, place your second blob of polish – not in the center but a little to one side. 4. Inside the first blob, place your third blob of polish off to the opposite side of the second. 5. Place your last polish blob in the center. 6. Place the second square on top of the polish blob. 7. Gently, oh so gently, rub the plastic squares around. You need a light touch. 8. Pull plastic squares apart and let decals dry. Depending on how you pull the squares apart will give you different looks. I wanted to share with you how the decals look right away and when they are completely dry. As they dry, the transforming top coat continues to spread out and create spots. When the decals were ready (and I was too! 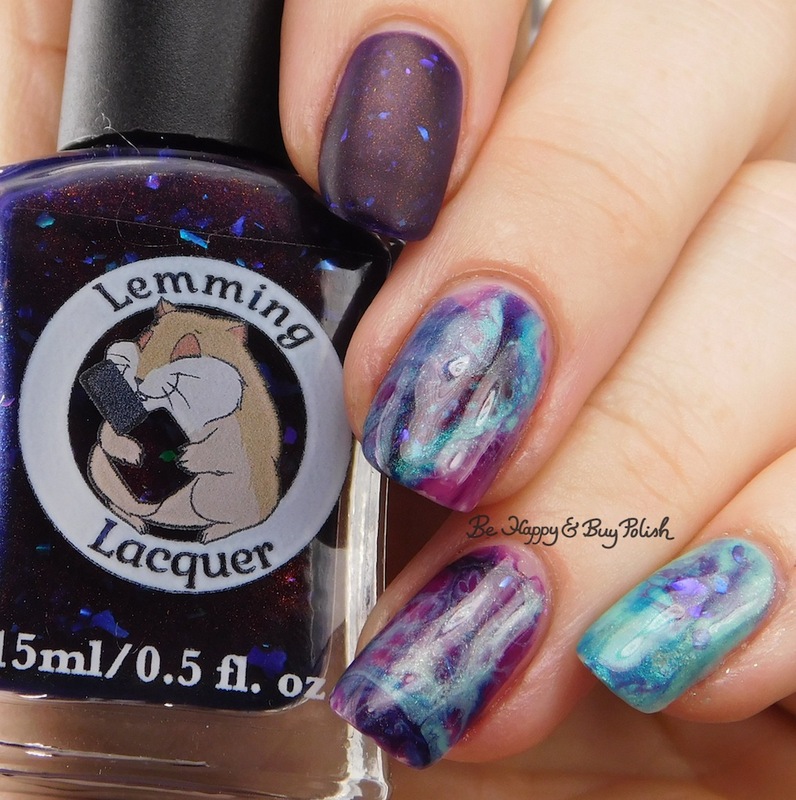 ), I painted liquid latex (currently using Ribbits Stickits Unfroggetable Cuticle Cover) around each nail. I applied a thin coat of clear coat (nail by nail), then applied a decal and cleaned up. 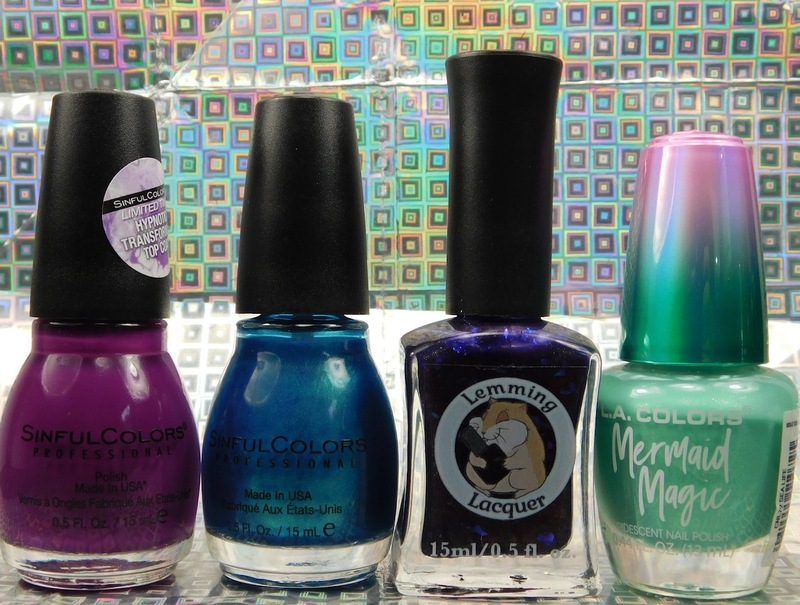 I think that this would work for any spotting polish (Dance Legend, OPI, etc) and with any number of polishes. I just used these four because I thought they would look really cool together! Also play with the sizes of the polish blobs – more or less will give the end result a different look – and play with where you place the blobs inside the starting blob. If you have any questions, don’t hesitate to ask in the comments and I’ll do my best to answer them.